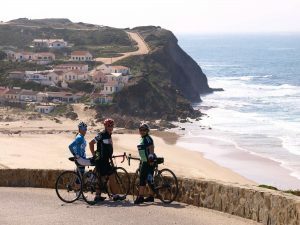 The Algarve Bike Trip in Southern Portugal is Europe’s hidden cycling secret: the perfect European bike tour destination with warm weather, beautiful blue skies, amazing scenery and quiet roads to explore at your own pace. 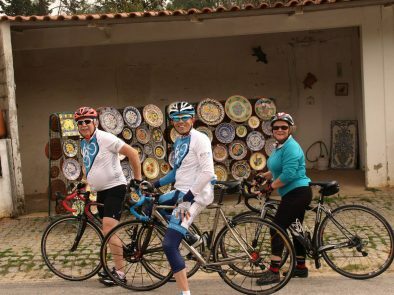 Our Algarve Bike Trip allows you to experience life at a slower more relaxed pace and immerse yourself in the authentic Algarve of Portugal. Experience an amazing value premium bike tour opportunity in the new cycling destination! 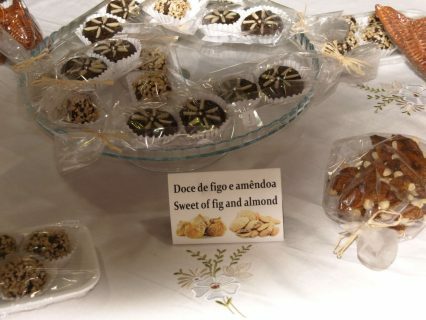 The hospitality and friendly nature of the unique people of the Algarve along with the secret hidden gems on offer only discovered by bike and not found in any guide book only adds to the enjoyment of this cycling holiday escape! The pace and route each day is tailored for you and your level of cycling and designed with all the skills of a local that lives it, with our intimate detailed knowledge of the area. An unique experience that can only be found on all the Practice Bicycle Bike Tours. 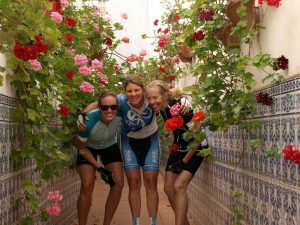 If it’s more of a Winter challenge and less of the relaxation that you are looking for take a look at the Algarve Cycling Training Camp! Tour Type Our classic bike trips provide the perfect balance between 'relaxation' and 'challenge'. Set in the most beautiful cycling locations in the world, we guarantee you will experience the very best of cycling and travel on our tours of the Algarve in Portugal the French Alps and Adelaide in South Australia. Activity Level Because our tours are always based at a single location with tons of ride options, we can tailor the routes to meet your riding requirements and abilities only possible with the local team that live it!. Available Packages All our prices are AUD $ per person based on twin share accommodation. If you are a single guest, a single room surcharge will apply. If you have already arranged accommodation, you can select our 'Rides Only' package. That's ok, we cater to non-cyclists too! Don’t miss out on a holiday with your partner, just because you do not cycle. We offer a package for those who just want to do a little sight seeing and catch up with their cycling partner during the day! 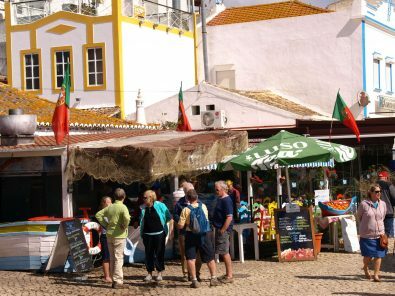 Relax on the beach or enjoy the daily sights of the Alluring Algarve from the comfort of the support vehicle. Share the most famous secret of Europe, the Algarve coast and the mountains of the Sierra Monchique …come and relax in the authentic Algarve,Portugal! 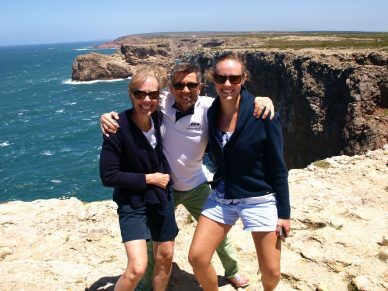 The week we spent in the Algarve with Practice Bicycle Tours, Paul and Bridget was an unforgettable adventure. Riding through the Algarve is a treasure you must all experience. 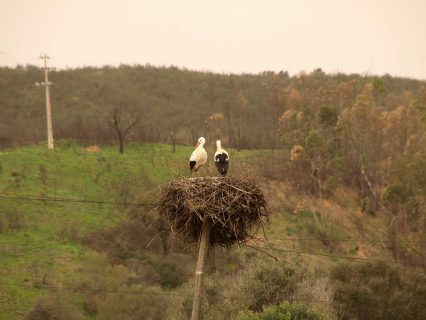 The different scenery around every corner is amazing from the storks nests to the little farmers market gardens right up to the beautiful ocean views. The ride up to Aljezur was the most challenging yet most rewarding and this whole experience will be one we will never forget. As hosts to non cyclists they were second to none. 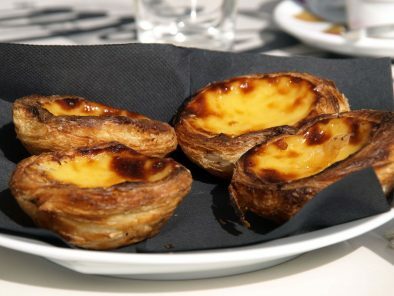 The sightseeing, the coffee stops with the Pastel de Natas and the amazing lunches where we joined our partners eating fresh seafood., the black beer and the jugs of sangria, we will long remember. We run our Algarve Bike Trip between October and May. Below are all our scheduled small-group departures for the Algarve Bike Trip. To enquire about joining our tours, click the “Enquire Now” button next to the tour date. 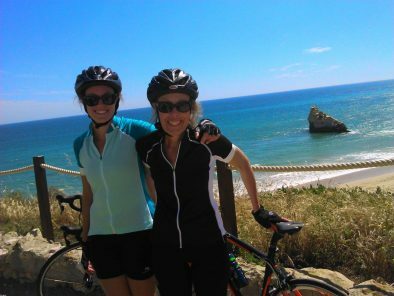 If you want to travel on different dates, don’t hesitate to contact us about arranging a private Algarve Bike Trip! We will pick you up from Faro International Airport (Portugal) and transfer you to your Praia da Rocha Hotel. Once you are checked in and settled, we can take the opportunity to remove the effects of your travels with a short first-day ride exploring the stunning coast and River Arade. 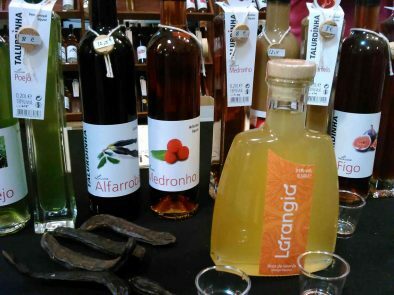 In the evening we will welcome you to Algarve with drinks and a dinner of traditional Portuguese cuisine. A perfect start to a week of cycling in Portugal! 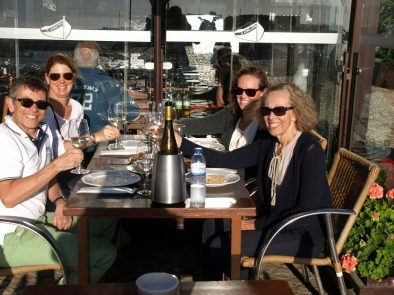 Start your perfect days with a full buffet breakfast overlooking the stunning fishing village of Ferragudo and the big blue Algarve sky; this has to be one of the most invigorating views to begin your day and bike ride with us in the Algarve. 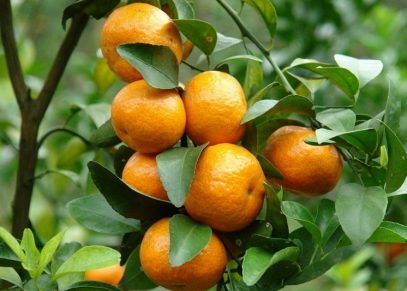 After breakfast we will take you on a choice selection of bike routes, along the spectacular coast, inland amongst some of the best orange trees in the world and finally but certainly not last the Sierra Monchique. 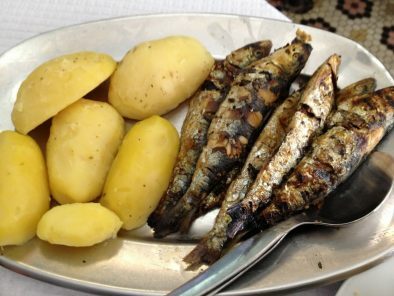 All at your own pace the perfect pace, with carefully designed breaks on route at a well-deserved lunch spot; it could be the finest fresh fish, possibly a traditional lunch of the Sierra or another Portuguese delight. Heading out from the Portimao area with your guide pedalling by your side, it’s not long before we are on the quiet network of roads ideal for cycling, in fact you will feel an instant escape and sense of calm and tranquility. The pace and route each day is tailored for you and the group and designed with all the skills and knowledge of a local cyclist, the experience that is unique and can only be found on all the Practicebicycle Bike Tours. Our support vehicle is also available every day for the non-cyclists, or anyone who would prefer to take it easy and enjoy the tour from the comfort of the vehicle. At the end of the tour, you will get a private transfer back to Faro International Airport (Portugal) and “Tchau” from the team at Practice Bicycle Bike Tours. Whether you have years of cycling experience or are just new to the bicycle, you will love cycling in the Algarve. As long as you love cycling, this trip is for you! 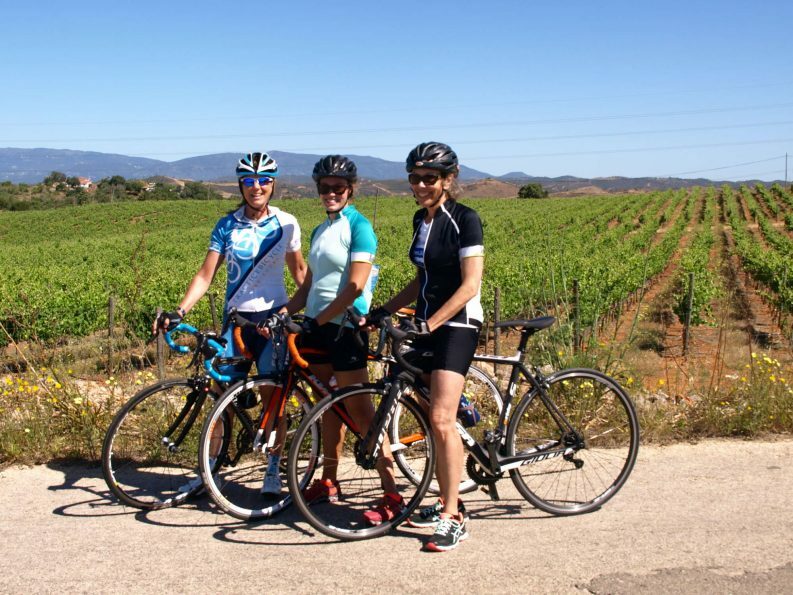 Each cycling route during your Algarve Bike Tour will be tailored specifically to your bike riding ability and experience, the choice is yours. All rides start and end in the same place, so there are no targets to make each day and you can not be left behind. You will be staying at our handpicked 4* accommodation, the Tivoli Marina Portimao Resort. These are quality studios within a nautical complex on the River Arade and a short 400m walk to the Beach and Restaurants. 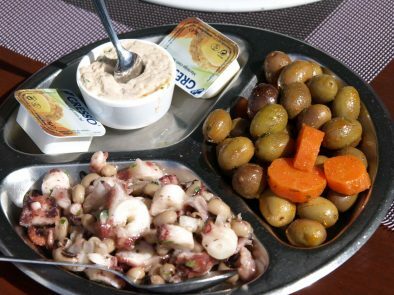 How much can we squeeze in one fantastic day in the Algarve! With your days spent exploring by bike and returning to your accommodation mid-afternoon, most guests are looking forward to relaxing. Should you still have energy to spare… why not take a stroll on the beach, enjoy a Spa treatment, visit Portimao Museum or take a River Arade Boat Trip. We love a challenge as much as we love cycling. The team at Practice Bicycle has a history in professional bike racing and coaching, so if it’s a challenge you are looking for, we can definitely find just the right rides for you. If you are looking for a challenge to improve your cycling and professional coaching advice during your vacation, then consider our winter and summer training camps. Absolutely! Look for our ‘Rides Only’ package to get on this tour without any add-ons or accommodation. Each day you will join the Practice Bicycle Team at a Portimao/ Praia da Rocha meeting point. 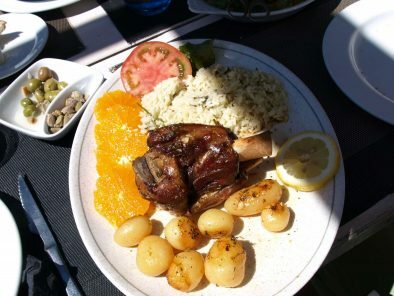 Fully escorted and supported on a selection of contrasting rides to discover this amazing cycling destination, including restaurant lunches on route. On each of our tours we tailor the daily rides to the riders ability and experience and weather conditions. 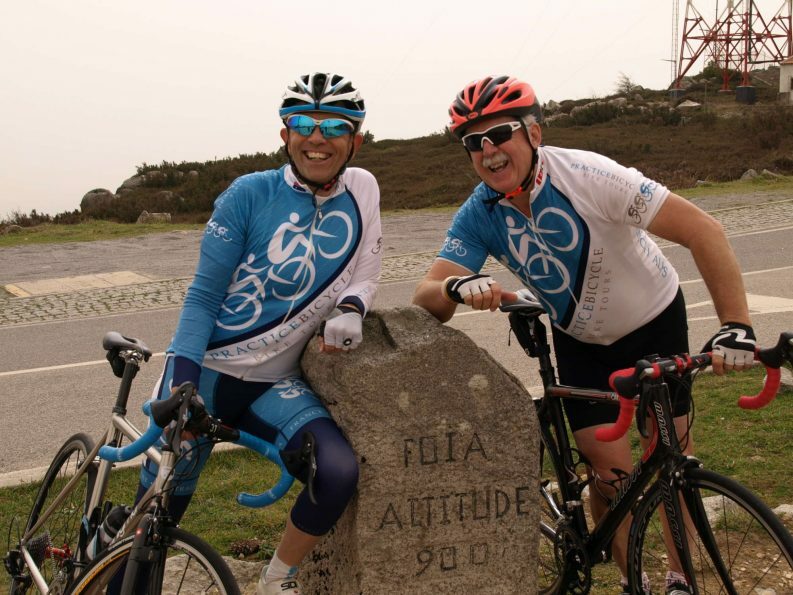 Practice Bicycle has developed 70+ routes in the Algarve for riders of all cycling levels. 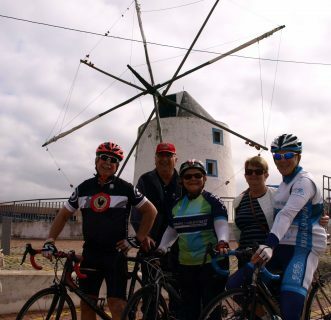 To get an idea of what sort of rides you will be doing, have a look at a sample of our Algarve rides. As a Non Cycling guest you experience all the sights & delights at a leisurely pace from the comfort of the support vehicle, catching up at regular intervals throughout the day with the cycling group and at our off the beaten path restaurant lunch together. Our local support team will share with you culture and villages on route beyond what any guide book will show you! 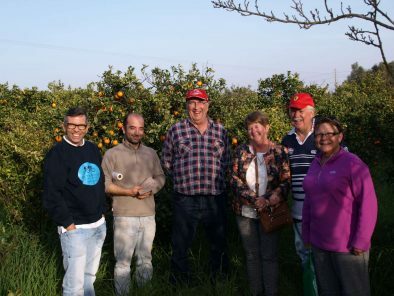 Portugal and the Algarve has many fabulous secrets from its famous Porches Pottery to the best Oranges in the world, they have to be eaten to be believed! 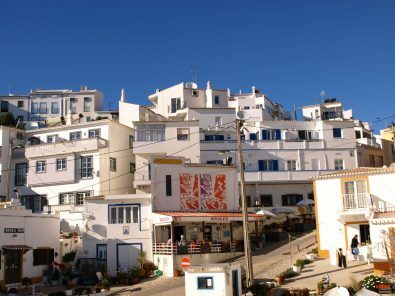 Here is just a small selection of what awaits you when visiting the Algarve: Amazing beaches for the perfect stroll, spa treatments, shopping favourites of cotton, linen and amazing leather handbags and shoes. 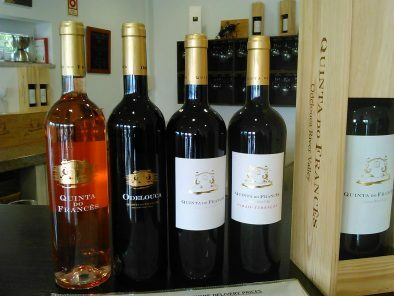 Unique to Portugal cork products of all description, hidden wine tasting and great local restaurants and last but not least the Sierra Monchique Mountains. How do I get to the Algarve Bike Trip? 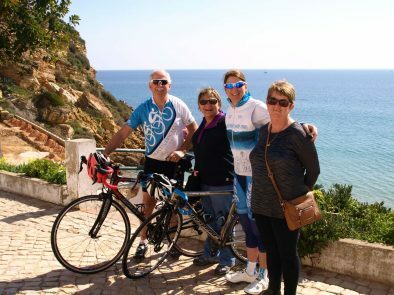 The Algarve Bike Trip is based in Portimao / Praia da Rocha, including a private transfer from Faro Airport (Portugal) to your hotel accommodation. Faro Airport is situated in the South of Portugal serviced by many low cost European airlines. For International guests arriving in Lisbon, options include an internal flight to Faro Airport or approx 3 hr travel using public transport train/coach service to Portimao or alternatively car rental is available.